Our retail premises stocks hundreds of key blanks and we are able to cut keys for you whilst you wait. We take your security seriously and as such we hold both Criminal Record Bureau (CRB) and Disclosure Scotland checks, we also carry photographic identification that proves this, this means you can have complete trust in your Burgh Locksmiths representative. Burgh Locksmiths are able to provide replacement car keys and remotes for a wide range of vehicles, we also offer a full car key cutting service and remote repair service. We can even do this if you have lost all your car keys! 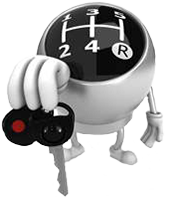 Check out the new car key section for more info! or 0788 406 7720 today for a fast, friendly and helpful response. Alternatively you can complete the online enquiry form to the right of the screen or email us admin@burghlocks.co.uk and we will get back to you as soon as we can. Burgh Locks is a local, Edinburgh based company, based at 2 Bruntsfield Place, EH10 4HN, we are not franchised nor are we a call centre, when you contact Burgh Locks you speak to the local Locksmith and our aim is to help secure your home, property and vehicles. We can cover all of Edinburgh, East Lothian, West Lothian, Borders and Fife.